Russian Foreign Minister Sergei Lavrov has commented on the expulsion of Russian diplomats from some EU states, as well as US, Canada, Australia and a number of other counties over Skripal case. "The conclusion that emerges from this situation is that we were right when we stressed several times how few independent countries remain in the modern world, in modern Europe," Russian Foreign Minister Sergei Lavrov told reporters on the sidelines of the international conference on Afghanistan in Tashkent. The situation around the poisoning of former Russian intelligence officer Sergei Skripal in Salisbury shows that the ruling elites in the West do not listen to the voice of the people, he said. "These statements (politicians in Washington and London) offend the system of Anglo-Saxon British justice. The situation reflects the desire of the ruling elites not to listen to the voice of the people, "Lavrov told reporters. "I was shown today the Die Welt newspaper, in which they conducted a survey, polling people whether to impose new sanctions against Russia. More than 80% answered negative. So, the mechanisms of direct democracy also need to be used more often," he added. Lavrov statement was made in wake of March 26 announcement of the expulsion of Russian diplomats over Skripal case by 16 countries of the European Union, as well as the US, Canada, Norway, Ukraine and several other countries. In particular, the US authorities announced that they are sending 48 Russian diplomats and 12 employees of the Russian Mission to the United Nations, as well as closing the Consulate General of the Russian Federation in Seattle. 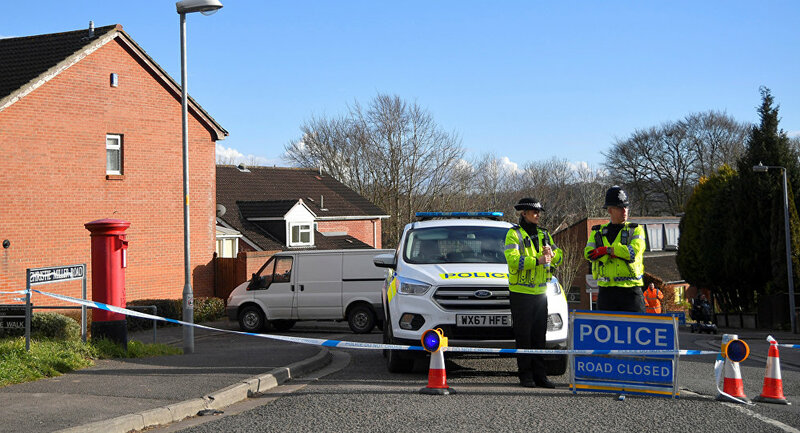 British intelligence agent Sergei Skripal and his daughter Julia were exposed to a harmful substance, claimed by the UK authorities to be a Novichok-class nerve agent, on March 4. The British side claims that the Russian state is involved in the case, as substance A234 was allegedly developed in the Soviet Union. Russia denies all these claims, calling them unfounded and manifesting a desire to participate in the investigation into the case.